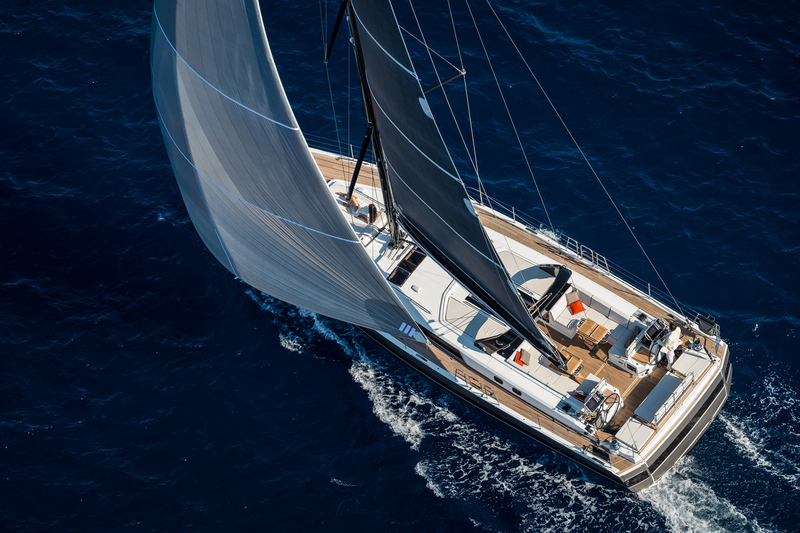 The first Oceanis Yacht 62 was launched in 2016 introducing a new era for Beneteau. Its name attests to this milestone; the word yacht suggests that this vessel is not merely a new model in the Oceanis range. The design of this luxury yacht is a result of a collaboration between Berret & Racoupeau Yacht Design and the Italian stylist Pierrangelo Andreani. The latter has been a long time partner of Beneteau for their motorboat range Montecarlo. 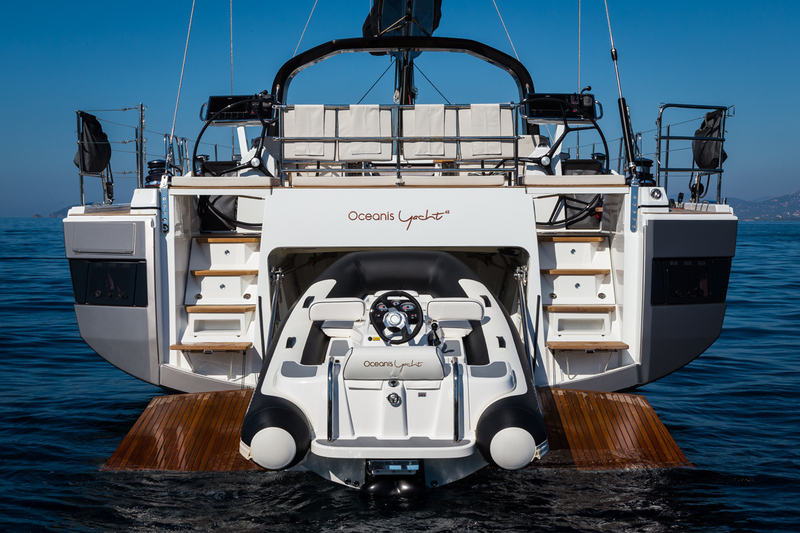 No wonder he has brought some interesting elements of his experience in the Oceanis Yacht 62 design. First of all, the design of the aft platform is a characteristic example of this approach. The large swim platform drops below the water to make it easier to launch and recover the tender that is stored in the garage. Also to descend to the platform there are easy to manage staircases and not ladders. Furthermore, the swim platform is wide enough to accommodate a table and chairs and secure an relaxing spot for drinks at water level. And did anyone tell you about the six different areas for sun lounging that exist on the sublime Oceanis Yacht 62? 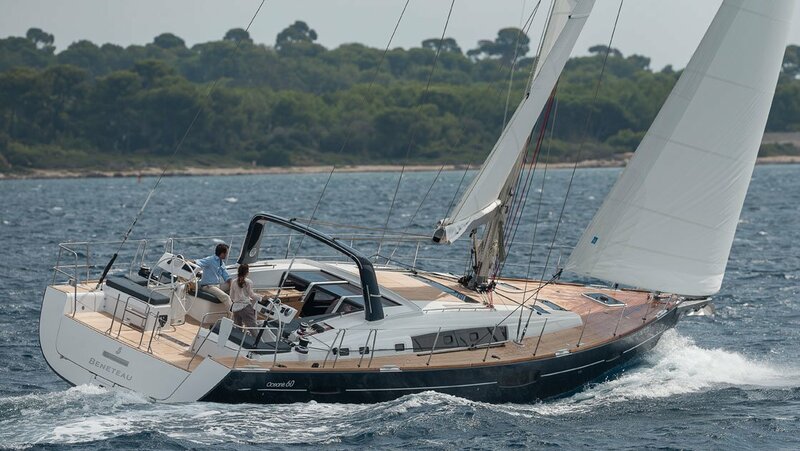 Oceanis Yacht 62 is an elegant luxury yacht with a sleek look. The signature dark stripe that veils the windows of the accommodation areas of the vessel contributes to this look. Moreover, the interior is equally impressive. Clean lines, smooth surfaces, hidden functionality and good ergonomics create an easy and tranquil ambiance for the indoor living. 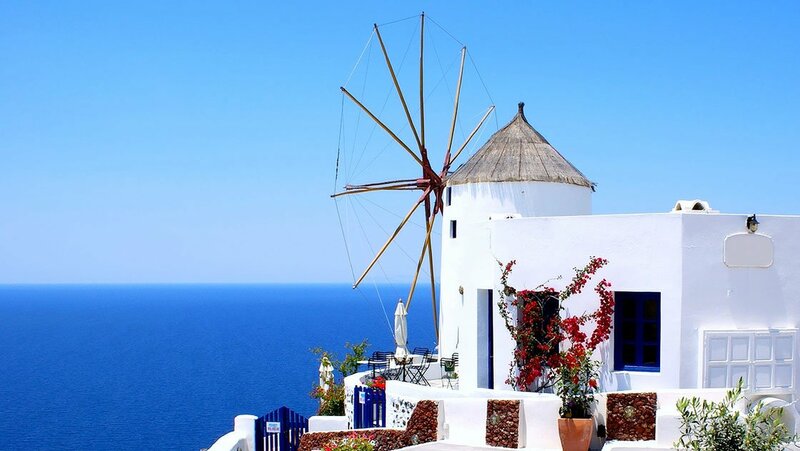 Certainly, comfort at anchor or under sail seems to be the ultimate goal of the designers. A goal that is achieved by all means! At the same time, this impeccably mastered yacht by Beneteau offers a perfect combination of power and technology. A highly manoeuvrable vessel that delivers high performance and is surprisingly easy to sail. No wonder the Oceanis Yacht 62 was the winner of the European Yacht of the Year 2017 competition in the luxury cruiser category. 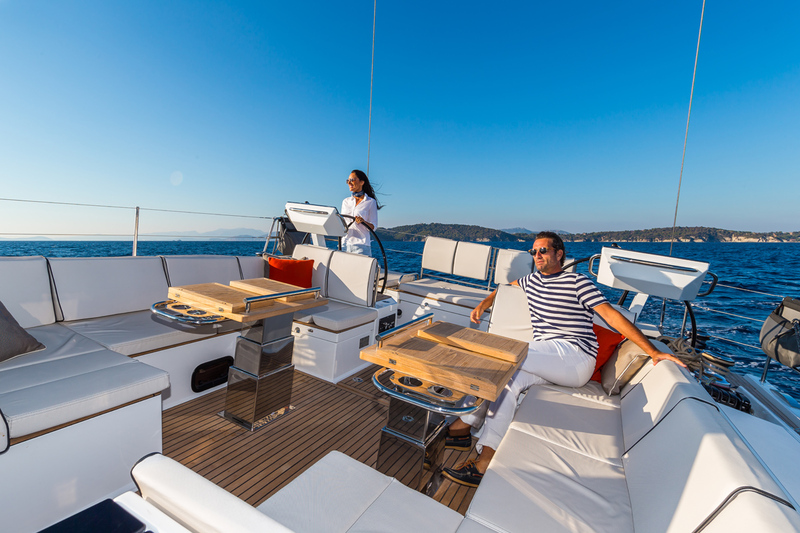 Just watch the video to get an idea of the relaxing lifestyle of Oceanis Yacht 62 and contact the Vernicos Yachts team for more information on this impressive sailboat!